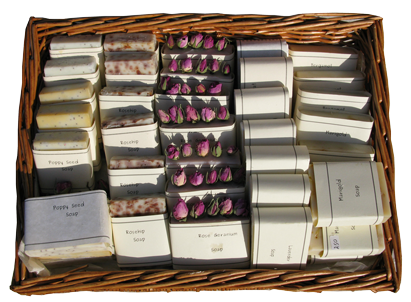 I make soap in small batches of six to twenty-four bars. The main base oils are olive oil and coconut oil. 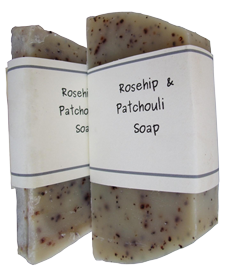 It is scented with essential oils and may contain flower petals..